James Allen Brenner passed away peacefully in his sleep on November 16, 2017 at the age of 66. The sudden loss of such a bright and shining individual is devastating to all who knew him. He accomplished much in his brief time on earth, and he leaves behind countless lives touched by his generosity of spirit, his kind words, his infectious smile, and his zest for life. Jim was born December 8, 1950, in Hartford, Conn., to Robert Howard and Ruth Mary (Williams) Brenner. He grew up primarily in New York State (Rochester, Kingston, and White Plains) before his father was transferred by IBM to Raleigh, N.C., in 1966. He attended Broughton High School ('68) and graduated from North Carolina State University ('72) with a double-major in Economics and Political Science. 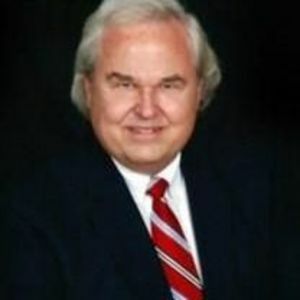 After graduating, he moved to Atlanta, Ga., and worked in market research for two years before joining the Federal Deposit Insurance Corporation in 1975, as an assessment auditor in the Atlanta Region. He met his wife Nancy while both were working as assessment auditors and detailed to headquarters in Washington, D.C. Their first date in the fall of 1981 was a memorable one with a trip to Monticello-the home of Thomas Jefferson-and dinner at the Tobacco Company Restaurant in Richmond, Va. In true Jim Brenner fashion, within the first six months of dating, they had traveled all over-to Raleigh, Los Angeles, San Diego, Las Vegas, Milwaukee, Atlanta, and Orlando-to meet his friends and family, and he swept Nancy off her feet. They were engaged in January of 1983 and married at Hudson Memorial Presbyterian Church on July 3, 1983, a day which Jim fondly called his "Loss of Independence Day." At the time of their marriage Jim was still assigned to the Atlanta Region, but by 1984 he also transferred to D.C., overseeing Assessment Auditors in the Field. In 1988, he accepted a transfer to the Atlanta Region to manage the Assessment Audit Function, and in 1989 Nancy joined him in Atlanta after their daughter Rebecca was born. In 1994 they transferred to the Chicago Region where Jim began working in Internal Review. Their final transfer in 1997 was to Dallas, where he developed his affection for all things Texas. In 2000, Jim and Nancy both took early retirement, which gave them more time to spend with Rebecca and focus on the things they loved most in life. Their final move was to Raleigh, N.C., in 2001 to be near Jim's family as Rebecca grew up. In retirement, he valued giving back: as an avid fundraiser with their daughter for the Foundation of Hope for mental health research and treatment. He volunteered for the American Red Cross Triangle Region and walked each year in the�Relay For Life�in Kershaw County, S.C., with his dear friends Larry and Linda Graham. He volunteered for the Friends of the Wake County Public Library, where he served as President starting in 2006, and was an active member of the Raleigh Civil War Roundtable and the Raleigh Chapter of the Sons of the American Revolution. Beloved as an NC State Football usher, Jim never missed a home game since Carter Finley Stadium opened some 52 years ago, and he would have been proud to stand again in Section 30 at the final game of the season, against UNC on Saturday (November 25). Jim was a proud Lifetime Member of Mensa and a lifelong learner, traveling each year to the annual gathering of Mensa to discover new ideas. He had a knack for collecting prestigious titles, including Kentucky Colonel, Arkansas Traveler, and Tennessee Squire. He enjoyed writing poetry and developed a prolific collection of poems which he wrote for his friends, loved ones, and favorite restaurants. His crowning achievement was serving as the 80th king of the fifth oldest Mardi Gras parade crew in New Orleans-the Krewe of MidCity-in 2013. He rolled in his first parade in 2002 and became a Duke shortly thereafter. He came to love New Orleans as a second home, and lived by the phrase "Laissez les bons temps roulez (Let the good times roll)!" Jim was preceded in death by his parents, and by his loyal pups Kelly and Champ. He is survived by his loving wife of 34 years Nancy Lee Appleby; his daughter Rebecca Mary Kathryn Brenner, of Brooklyn, N.Y.; his sister Susan Ruth Peters, her husband George Edward, and their children David and Megan; his sister Gail Ann Brenner; and many loving nieces, nephews, cousins, godchildren, extended family, and friends. A visitation will be held from 6:00 to 8:00 PM on Monday, November 27, 2017, at Brown-Wynne Funeral Home, 300 St. Mary's Street, Raleigh. The service will be held at Hudson Memorial Presbyterian Church, 4921 Six Forks Road, Raleigh on Tuesday, November 28, 2017, at 2:00 PM followed by a reception in the church parlor. A private graveside service will be held at a later date in Waterbury, Conn., where he will be laid to rest next to his parents and other family members. In lieu of flowers, memorials may be directed to the Foundation of Hope for the Research and Treatment of Mental Illness (walkforhope.com) or Hudson Memorial Presbyterian Church.